This is truly the be all end all of adventure travel books. The inspiration for Ewan and Charley's Long way round/down journeys and probably countless others. 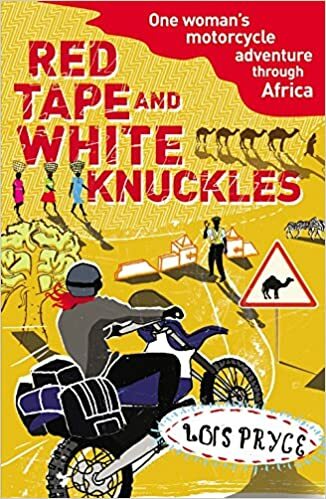 Ted quits his job as a journalist and heads out on a four year and 63000 mile journey around the world and as this is taking place in the 70's it is a vastly different world out there than the one we have today. Or as he himself so eloquently puts it in a passage in the book: How was I to know the world was about to change, I hadn't been there yet. As a full-time cynic the quasi-philosophical parts of the book makes this a bit of a hard read at times but as it was written in the late 70's I guess you can't really blame him for being a child of his time. 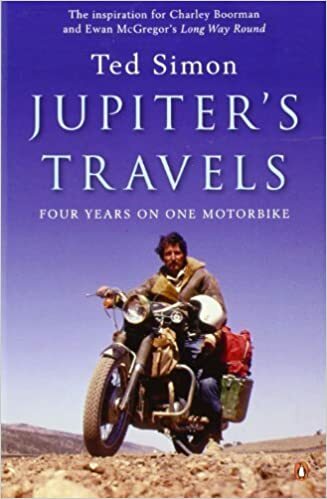 An inspirational epic journey and must read for any aspiring motorcycle adventurer. I actually bought this before the trip that eventually took us through the Balkans in 2015 because our original plan back then was to do the British Isles. That fell through because of the lack of space on the DFDS ferry but it turned out alright I think and I still got some use for it on the 2017 trip. 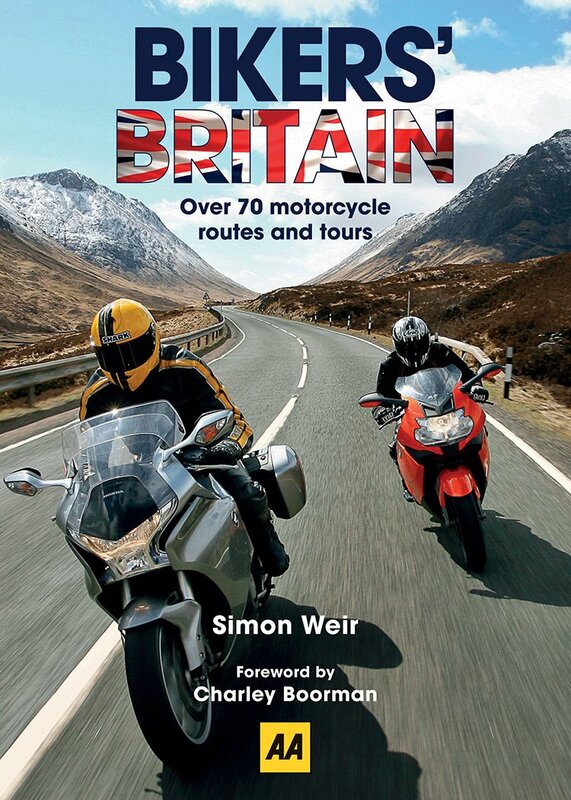 The book contains 70 routes and tours in or through England, Wales and Scotland and is written by the Editor of Ride Magazine, Simon Weir. I painstakingly transferred all these routes into Basecamp with the intention of including them fully or in part in my own routes. In the end I didn't end up using more than parts of a couple of routes. The routes seem nice, they are well documented and there are even directions if your a hundred years old or just a luddite. There are even tips on what to see and do in the area of the routes. It was just not very useful for me. The routes are for the most part loops where you start and end up in the same place and thus are more oriented around a nice Sunday or weekend ride out with your friends and not towards cross-country travel. This will most likely be more appealing and helpful to UK residents than visitors to the country.